There is a possibility that you don’t yet know Label Grand Karakterre, but if you are active on social networks like us, you know Marko Kovac! On a daily basis, he posts and shares about the best winemakers and wines you can imagine. Marko has also been very active in providing us new locations to add to Raisin. If you live in eastern Europe, many of the locations displayed on Raisin were submitted by Marko. We are very grateful for your help Marko! For the past 5 years, he has been doing his best to promote natural wine in Austria. 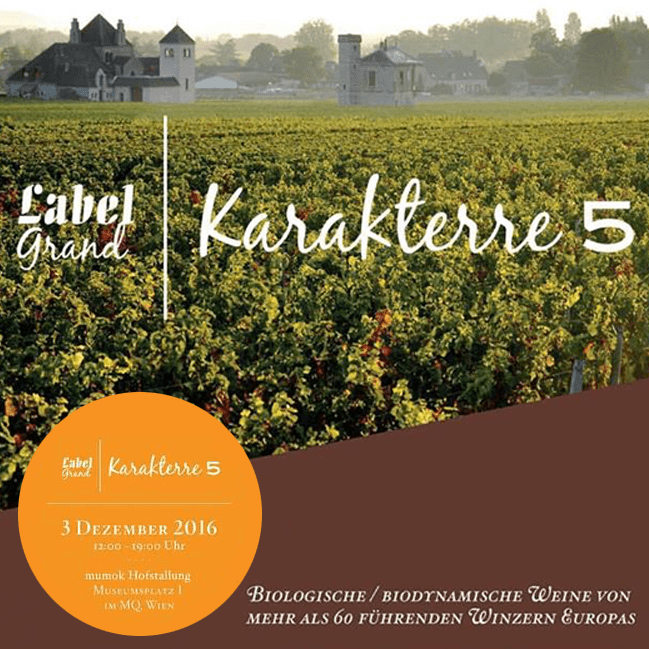 The fifth edition of Label Grand Karakterre is a real celebration of what true wine artisans can do, everywhere in Europe. Austria, Germany, France, Italy, Slovenia, go and check the list of growers who will be there, it is very impressive. For the lucky ones who can make it, this is the one event you should not miss.